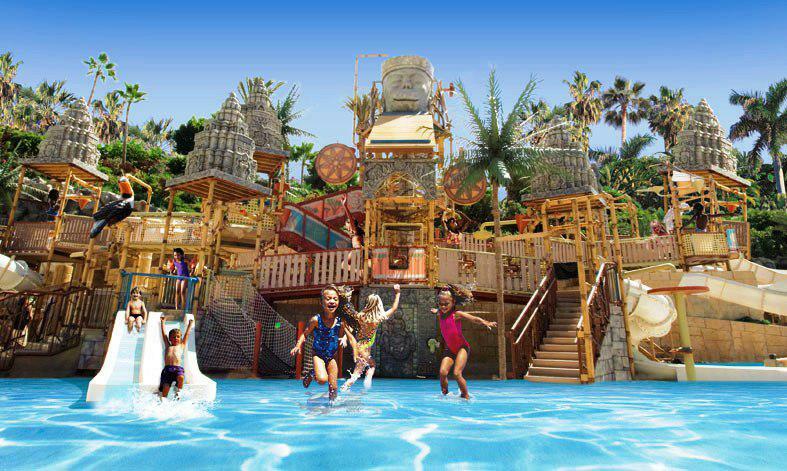 Siam Park, located in Adeje by Los Cristianos in Tenerife, is one of the great innovations that Tenerife presents and it is the biggest water park in Europe and one of the best in the world. The most up to date technology is combined with the exotic mystery of the ancient kingdom of Siam. 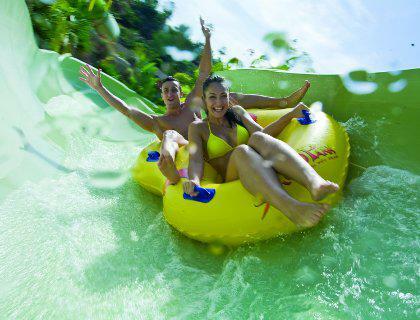 Each ride is a perfect mix of fun, excitement and plenty of adrenaline. All those who try them are sure to have really unique experiences. There is adventure for visitors of all ages. Children can enjoy areas specially made for them, like “The Lost City.” Those who want to test their speed have the “Naga Racer,” the best way to experience a family toboggan race. For grown ups and the more adventurous, the incredible drop of the “Tower of Power,” the powerful “Giant,” and the spectacular “Dragon” will provide plenty of excitement. 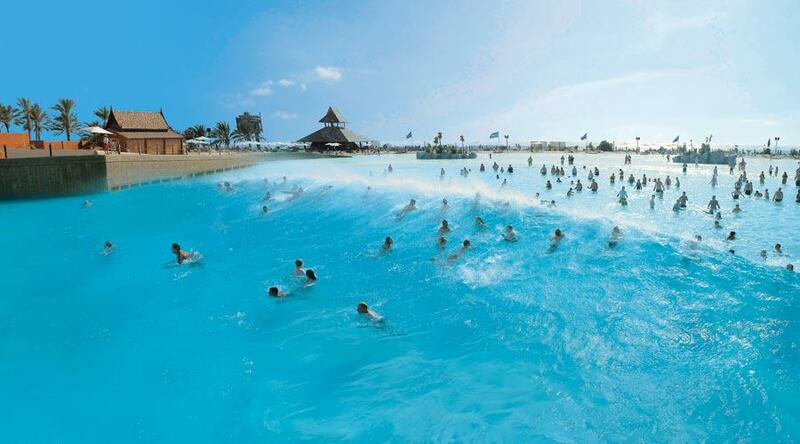 For those who prefer to relax, Siam Park has a range of options, such as its beach of golden sand with exotic views and relaxing walks by the crystal clear waters of a slowly flowing river. 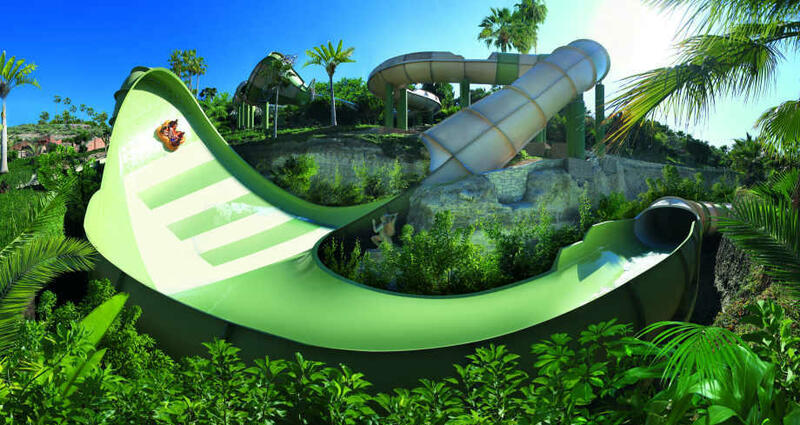 The park also has a surf school and a spectacular swimming pool in which artificial waves of up to three metres can be made. 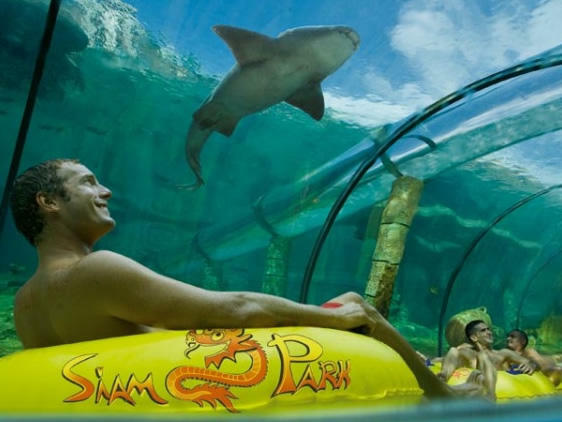 Siam Park is also an ideal venue for celebrating special occasions like birthdays, private parties and all kinds of corporate events. The sheer scale of its facilities means that special events can be organised, like beach barbecues for several thousands of people. There is also an amphitheatre that seats 1500 people, 5 bars and restaurants, including one featuring Thai specialities and one directly situated on the beach. The tropical islands are ideal for smaller groups: the VIP luxury cabins come equipped with minibars, WIFI; and “fast pass” entrance to all the attractions of the park, are just some of the many advantages. All of which make for a truly exclusive and unique day out. Once we received your booking message, we will send you Payment Request for the full amount by e-mail (depend on the number of adults and children). The Payment Request is payable online with a debit or credit card and must be paid in the next 24 hours. If the Payment Request is not paid within 24 hours your booking is automatically cancelled! Right after Payment Request is paid you will get your Entry Tickets by e-mail to print it and take with you to show it at the desk of the park. Starting from the Ticket validity date you will have 14 full days to visit the park. You choose this day by yourself. 25€ – per child 3-11 y.
free – per a child 0-2 y. The price include Free Bus from Tenerife South Zone. 38€ – per child 3-11 y. 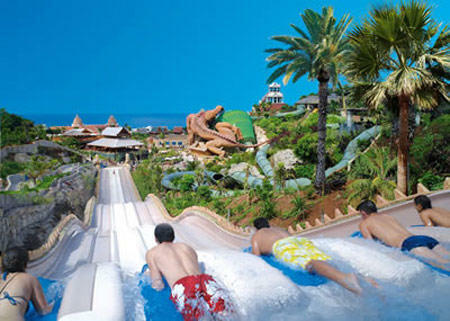 A Premium ticket will let you enjoy the most of Siam Park. It includes Locker, towel and the Menu. Menu For Adults: Spring roll, Wok Thai, fruit salad, drink and bread. Menu For Children: Chicken nuggets, potato chips, scoop of ice cream and drink. 460€ – per group of 4 people. Private Cabanas for up to 4 people are available for a really special day out. A cabana include entrance for up to 4 people, a private cabaña for the day, fast pass to all the attractions, a limited all inclusive service including the menu in the Beach Bar, Beach Club, Thai Bar and Thai House Restaurants + Ice Cream, Water, Softdrinks, Beer, Wine.Each cabana includes 4 sunbeds, a shower on the terrace, towels, fan, sofa, TV and a minibar with refreshments, beer, wine and snacks.